The intention is for corporate foundations and other stakeholders to find out more about this trending topic, learning from other companies’ experiences and unlocking its potential. Enterprise development is also a key component of the revised BBBEE and other sector codes, so more companies are seeking up-to-date information on it. 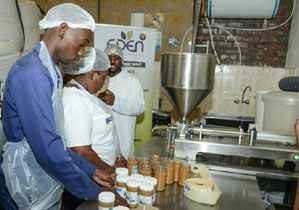 Eskom Business Investment Competition entrant Eden All Naturals CEO Brighton Matake and staff packaging peanut butter. 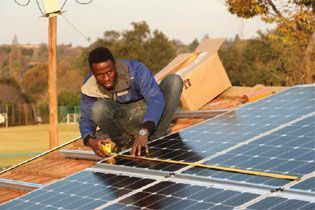 Lamo Solar CEO Tshibvumo Sikhwivhilu, a participant in the Eskom Contractor Academy, installing solar panels. 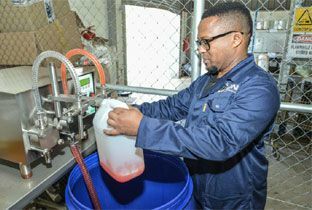 LBN CEO Lazola Nxele, an entrant in the Eskom Business Investment Competition, packaging dishwasher soap which he manufactures. Trialogue MD Nick Rockey says: “Research has shown that South African companies have already invested millions of rands in enterprise development, to bring about positive social change and to complement their commercial offerings. However, enterprise development is not reaching its potential. “The 2013 Impact Amplifier Report identified three main challenges: lack of business knowledge among small entrepreneurs, the gap between objectives and application, and insufficient measurement frameworks to check on the impact of programmes. Rockey says he is delighted that Eskom has agreed to sponsor the Enterprise Development topic, as the power utility has extensive experience in this sector and much to share. Eskom Business Investment Competition entrant Bayanda Engineering artisan inspecting welding work. Eskom Business Investment Competition entrant eWaste Africa staff with fluorescent globes for recycling. 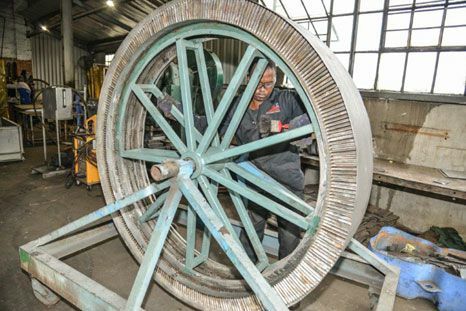 Maboe gave the example of the Eskom Contractor Academy, set up in 2007 as a way of empowering many emerging businesses that ordinarily fail during their first two years of operation. The academy continues to support emerging contractors and suppliers with financial, legislative, management, leadership, entrepreneurial and technical skills. The training programme runs over an eight-month period, with students attending a one-week study school once a month. 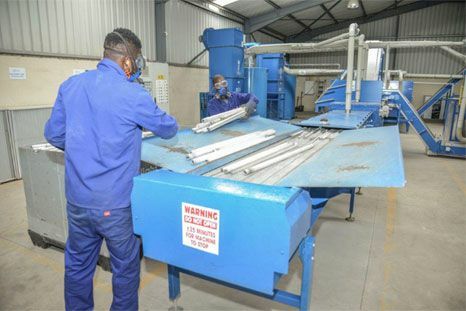 Other Eskom Development Foundation initiatives include the Eskom Business Investment Competition, which rewards small businesses contributing to the fight against unemployment and poverty. More recently, at the Trialogue Business in Society conference in May, Eskom sponsored representatives of three non-profit organisations to attend the conference and pitch their projects to a panel of corporate donors. Prizes of R25,000, R15,000 and R10,000 respectively were covered by Eskom for reinvestment in their projects.